The Sigfox Access Station Micro provides you coverage where you need. Plug-and-Play, easy to install, it is ready to use in a minute ! With the sealing cover, the Access Station Micro is dust and water resistant (IP65). 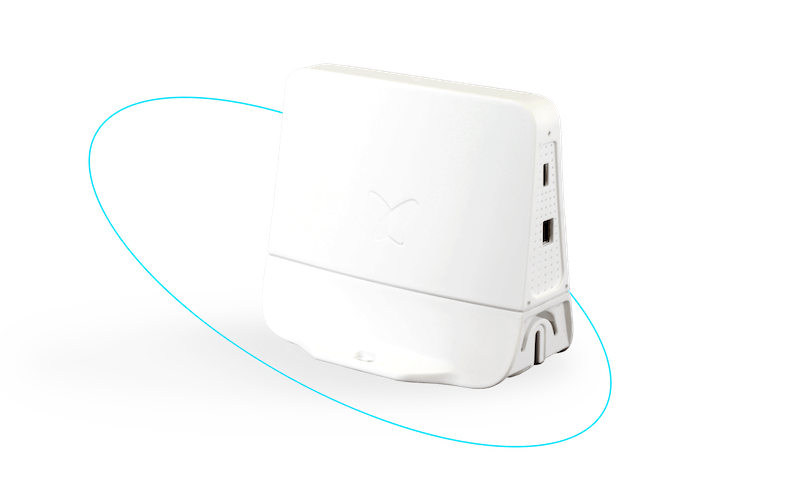 With its compact form factor and integrated antenna, Sigfox Access Station Micro can be easily installed within minutes. Accessories are included in the box to start using the Access Station Micro straight away. Power-over-Ethernet allows flexible installation without professional assistance. The Access Station Micro connects to Sigfox Cloud via existing LAN infrastructure and Internet access, but it also has the possibility to use cellular networks for quick and versatile installations. Sigfox Access Station Micro addresses the challenges of affordable coverage densification by keeping the RoI of your IoT solution deployment and operations low. Designed with great sensitivity it can cover an entire building and can process up to 70 000 frames per day. With extremely low energy consumption, the Access Station Micro is compatible with smart solar panel deployment enabling untapped application connectivity where no power source is available.